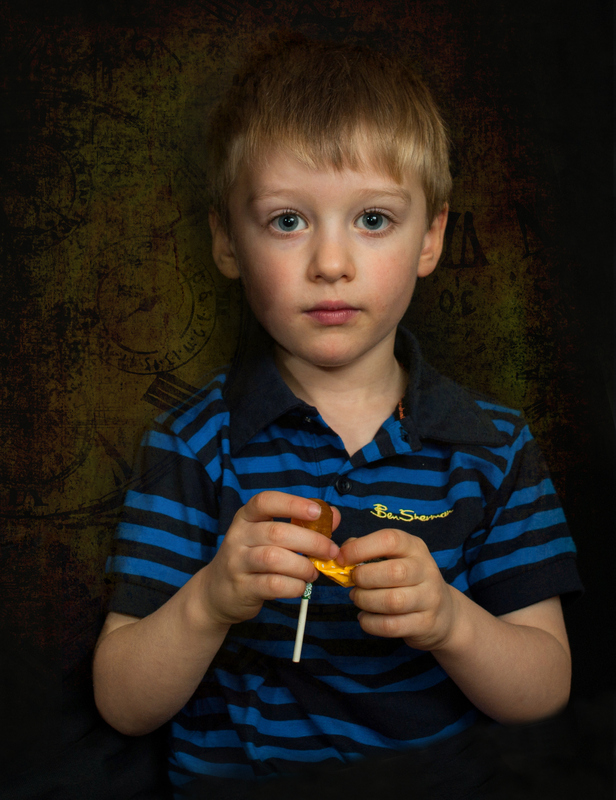 Don’t worry – the lolly was sugarless. I find that it’s a handy way to keep children occupied during a shoot. I think I used the same lighting setup as the shot of Jack with his daddy. Two SB-600s, one shooting backwards into an umbrella so that the light was falling directly onto his face, and the other placed camera left and angled up, to add light to his hands and body.